« METALLICA – Where Did They Go? Does Anyone Know? 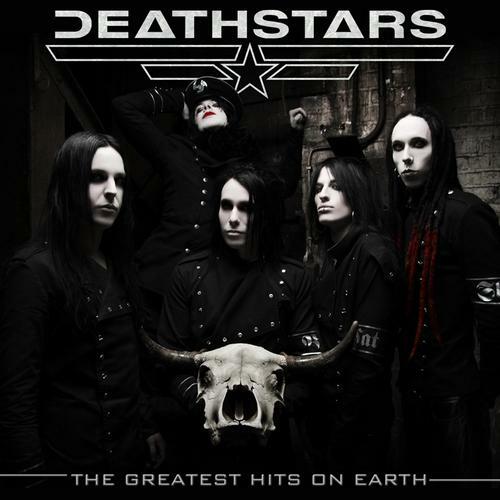 DEATHSTARS – “METAL” VIDEO, “THE GREATEST HITS ON EARTH” OUT NOW! DEATHSTARS – Swedish Death Glam icons DEATHSTARS just released the videoclip for “METAL”, one of two brand new songs featured on their best of compilation “The Greatest Hits On Earth” which has been released just today, Friday, November 4th. Check out the video for “METAL” below… take in the exquisite mixture of Death Glam, Industrial and Modern… METAL from DEATHSTARS! Stone’s METAL Note: There isn’t any “Lulu” going on here folks! This entry was posted on November 4, 2011 at 8:45 pm and is filed under death glam, Heavy Metal, heavy metal news, heavy metal videos, industrial metal, metal music, metal odyssey, modern metal, Music, rock music, rock music news with tags death glam, deathstars, Heavy Metal, industrial metal, metal music, metal video, modern metal, rock music news. You can follow any responses to this entry through the RSS 2.0 feed. You can leave a response, or trackback from your own site.